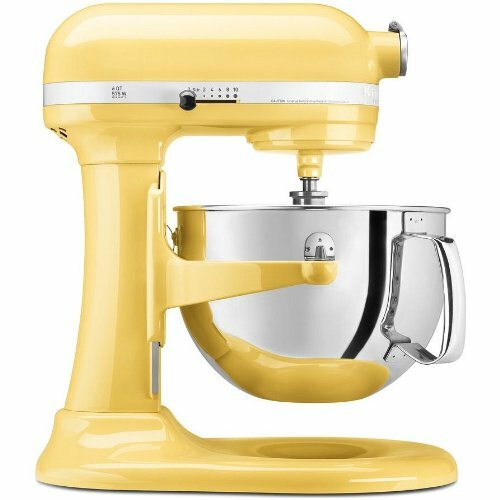 In my world, also known as the world of cooking geeks and baking fanatics, the ultimate kitchen tool to end all others is a KitchenAid stand mixer. 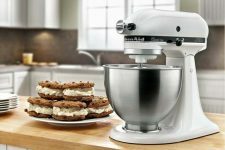 The word “KitchenAid” has become synonymous with the stand mixer, even though it’s the name of a company that sells a wide range of kitchen products. My mom got her first KitchenAid just before I was born, so I was lucky enough to grow up baking and cooking with hers. I didn’t realize just how special owning a stand mixer is, as opposed to a cheap, plastic handheld mixer, was until I moved into my first apartment. Lucky for me, shortly after moving in, my mom decided that it was time to upgrade her twenty-year-old mixer and I was lucky enough to inherit it. It was twenty years old and still ran with no issues! In fact, the only reason my mom wanted to upgrade was because she wanted to try the new line and get a bigger bowl. 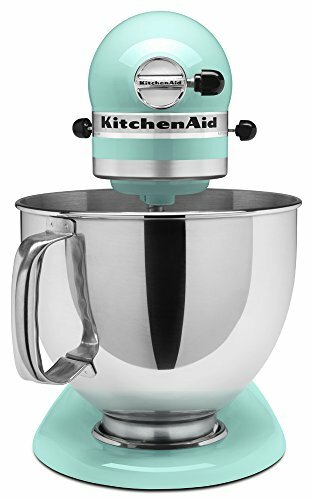 Now, I’m looking to upgrade, and in the process of conducting some research in order to put together my wedding registry, I’ve taken a hard look at that the KitchenAid Artisan Series 5 Quart Mixer. You can see what other small appliances I’ve included in my wedding registry series. 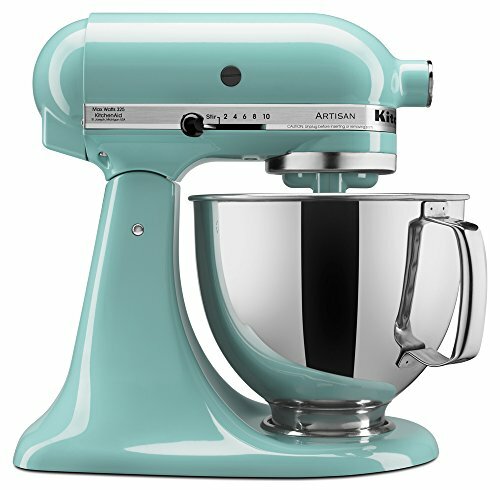 I checked out the stand mixer competition and looked at several KitchenAid models, but this one was high on the list but ultimately my bread baking habit lead me to choose a more powerful model as I don’t have a warm and fuzzy that the motor on this unit is powerful enough to stand the rigors of mix dough once or twice a week. However, if you are not a huge bread baker and only mix dough on a rare occasion or in small amounts, then this may be a great entry level machine for you – especially with the number of attachments that you can purchase to allow this machine to perform other functions (more on this latter). The only piece of plastic you’re going to find on this stand mixer is the pouring shield attachment. The metal construction is incredibly durable: like I said, before my upgrade, my stand mixer was twenty-four years old and it’s still running fine. 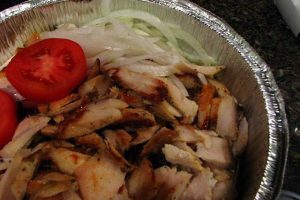 Even the bowl is stainless steel. When well taken care of, your stand mixer should last decades. In fact, one of the most common comments in reviews is how sturdy this piece of equipment is. 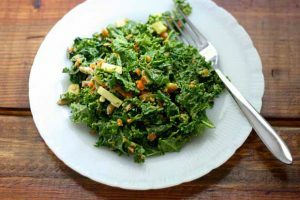 Although some complain about the height of the beaters, that they either scrape the bottom of the bowl or don’t quite reach all the ingredients, there is a simple fix to adjust the height and make it work for you. Since this is such a solid piece of equipment, it’s not small. When choosing a place to store your KitchenAid Stand Mixer, if not on the countertop, make sure that the shelf is sturdy. t weighs 26 pounds so you may want to consider not storing it too high or too low. It’s 14 5/6 inches deep, 13 15/16 inches tall, and 8 ¾ inches wide so it will take up a decent chunk of space in your storage area. 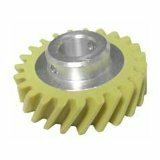 This gear is designed to shear or break apart should the machine bind up and protects the motor from burning up or otherwise become damaged. They are available for all models through Amazon or other vendors and easily replaced by anyone with a little mechanical aptitude. It took me awhile to decide what kind of capacity I wanted in my stand mixer. Yes, I do use this small appliance for everything under the sun and I hate flour exploding onto my countertops when I’ve made just too big of a batch of dough. On the other hand, nine times out of ten I’m only cooking for my fiancé and myself and we do live in a tiny apartment without much storage space. I decided to go for the size that KitchenAid describes as being able to handle medium to heavy batches: 5 quarts. This bowl should be able to handle nearly any job I throw at it without being too difficult to store. I love that the handle on the bowl is designed with heavy batches of dough in mind and makes it easy to lift the bowl from the base without worrying about the handle snapping off. My older model has no handle, so this is a nice upgrade. To give you a better idea of what 5 quarts means, this stand mixer can handle 4 ½ loaves of LIGHT bread (perhaps 2 loaves of a solid thick dough would be all I’d want to put in it), 9 dozen cookies, or 7 pounds of mashed potatoes. 7 pounds of mashed potatoes?! 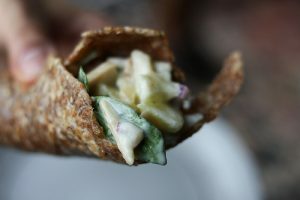 My pre-wedding diet is not going to thank me for having learned this. 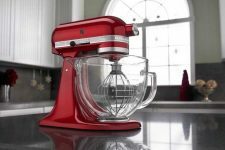 The KitchenAid Artisan Series 5 Quart Mixer comes with an adequate 325-watt motor with 10 speeds. With this kind of power, it’ll have no problem handling heavy batches of thick bread dough and big batches of cookie dough. To me, this means baking giant batches of dessert bread to give out. That being said, if I were baking bread on a regular basis, I’d go with a device that is more purpose built for this task such as the Bosch Universal Kitchen Machine, the KitchenAid 6 Quart Professional 600 Series or the 7-Quart KitchenAid Pro Line. With ten speeds, I can use this mixer for a wide variety of jobs. I absolutely hate kneading dough by hand, but with this stand mixer I can attach the dough hook and let it go for as long as it needs. It’ll also save you a seriously tired arm when beating a batch of whipped cream. 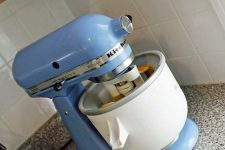 Classic KitchenAid stand mixers are mostly tilt-head, but in recent years the bowl lift design has gained popularity. The bowl lift mixers don’t have a tilting head. Instead, the bowl is locked into place by arms on the base of the mixer that raise and lower and you shimmy the bowl into place. Although the tilt-head can “bounce” a bit when mixing large batches of dough, even when locked into place, this is not the only drawback. The bowl lift, on the other hand, had several drawbacks for my needs. The bowl lift models are bigger, both taller and wider, in order to give you room to slide the bowl into place. Since counter and storage space are issues for me, this was a big con. It’s difficult to switch between attachments with the bowl in place on the bowl lift model, something I do frequently when making bread. 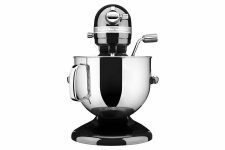 With the head of the mixer permanently in place, you also don’t have as much room to add ingredients or scrape the sides of the bowl down. For all of these reasons, the tilt-head model won out. 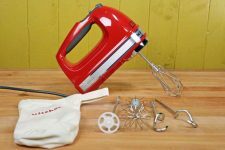 This standmixer comes with three attachments: flat beater, wire whisk, and dough hook. The flat beater is perfect for most cookie dough, cake batters, and other light dough and batters. This is typically the attachment I find myself reaching for. 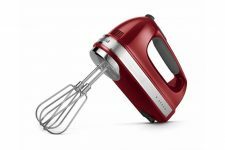 The wire whisk will whip anything, from egg whites to whipped cream or a fluffy frosting. It’s an excellent tool for making delicate dishes, like angel food cakes. The dough hook is designed for heavy yeast dough and will do all of the kneading for you. This might just be my favorite function. Instead of kneading by hand, I can set this thing to go all on its own while I get some cleanup out of the way. Now I will be eating roasted garlic bread all the time! A seemingly insignificant attachment that comes with the mixer that I am all too excited about is the pour shield. My older model didn’t have one and I would constantly find myself making huge messes by adding flour to a running mixer too quickly or spilling eggs down the side of the bowl. he pour shield wraps around the bowl and has a wide-mouth pour-chute so you can pour ingredients in while the machine is running with no fears of covering your outfit in powdered sugar. 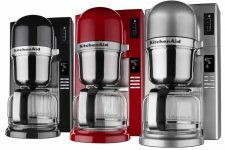 One of the reasons I chose KitchenAid over its competitors was for the range of options when it comes to attachments. 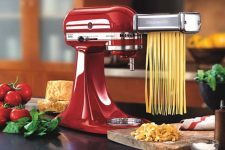 All thanks to this one small appliance, I can now make homemade pasta and ravioli in my kitchen, make ice cream, juice fruit and vegetables, shred a mountain of cheese, and so much more. 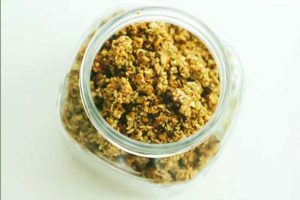 I’ve recently started getting into doing my own charcuterie, and KitchenAid offers grinder and sausage stuffing attachments that I am incredibly excited about! There’s even a food processor attachment complete with different blades if you don’t want a stand-alone food processor. Like I said earlier in the review, the pour chute makes cleanup a lot easier since you likely won’t need to be scrubbing the base of the mixer down or get food all over the outside of the bowl. You also should find yourself with less to wipe off the counters, although I always seem to make a much bigger mess when cooking and baking than one would think is reasonable. 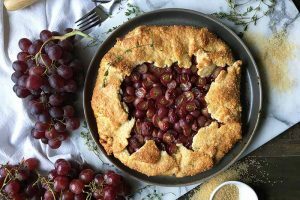 The bowl and attachments are dishwasher safe, although some users have said they noticed paint chipping off of the flat beater and dough hook attachments after too many trips through the dishwasher. The bowl and attachments are all easy to clean either by hand if you need to. To clean the base, just wipe down with a wet washcloth and warm, soapy water. Make sure to never submerge the base in water and keep the power cord away from water. 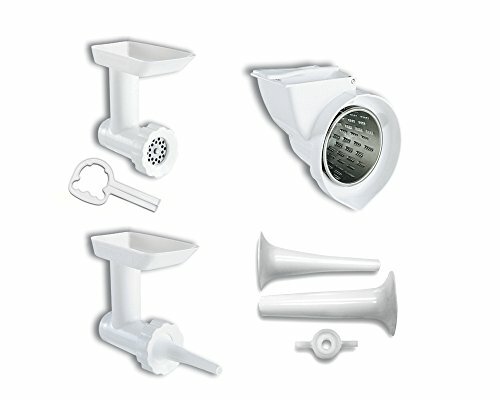 Note: If you are concerned about any flaking issues from the coating on the included attachments, you may want to look into investing in the Artisan Design series which features brushed metal beaters and dough hooks, different metallic color schemes, and a glass mixing bowl with measurement markings. 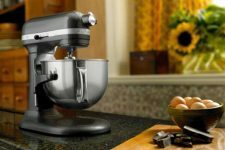 I chose to go with a KitchenAid standing mixer over its competitors, like Sunbeam, Hamilton Beach, and Cuisinart, for a few reasons. 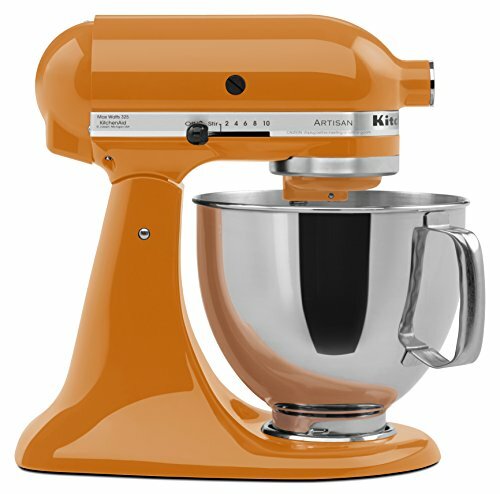 KitchenAid is especially well known for its standing mixers and they are incredibly well reviewed products. They’re known for lasting decades without decreasing in performance, which was something I had experienced myself. 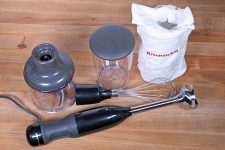 KitchenAid also offers a far wider variety of attachments than its competitors so I knew that I could expand my kitchen’s capabilities over time without having to invest in other small appliances. A very small number of reviewers noted that the food-safe lubricant used inside the machine leaked out into the bowl of the standing mixer. Again, this happened to very few people, but if it concerns you, note that KitchenAid offers a 1-year warranty. Some reviewers have said that the top of the mixer can get warm when using it for longer than 20 minutes. Few jobs will require that you use the machine for this long and this is pretty normal for small appliances. 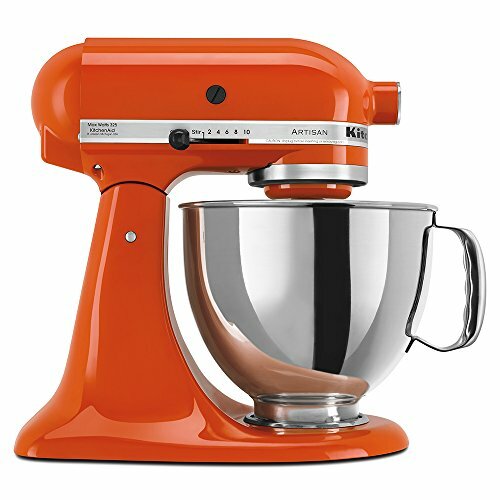 KitchenAid mixers were created in 1941 in Greenville, Ohio and are still made there today. For the purchaser who is looking for an American-made product, this standing mixer is the one for you. In fact, in addition to a huge storeroom, there’s even a mixer museum with a standing mixer signed by Julia Child. 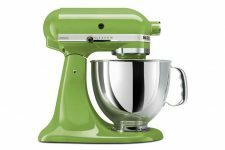 On nearly any website where the KitchenAid Artisan Series 5 Quart Mixer is sold that lets buyers leave reviews, you will find nearly universal happy customers. A great starter machine that's decent without breaking the bank - just don't try to run a commercial bakery or pizzeria with one. Going with KitchenAid was the easy part of my decision. The tougher parts were deciding whether to go with a bowl lift or tilt-head, what size bowl to get, and, most importantly, which of the many colors to choose from! In case you were wondering, although white felt like the most practical choice, I went with the Aqua Sky color. It’s just so pretty! 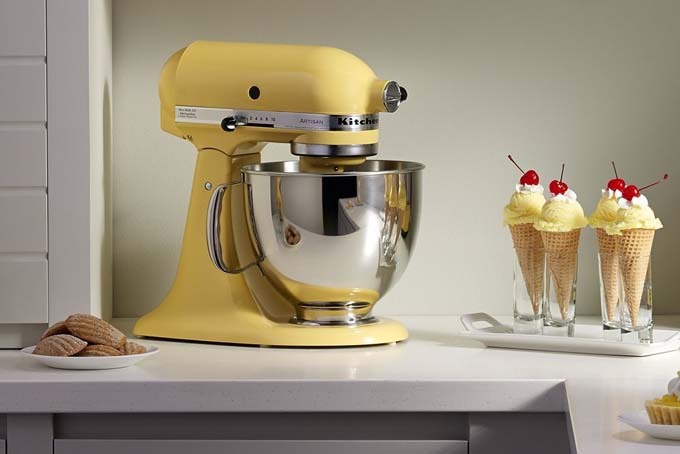 Take the plunge and go with a KitchenAid standing mixer. 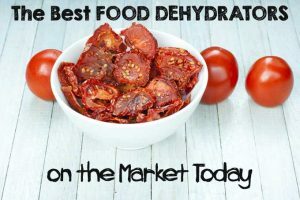 It’ll last for years to come and the dozens of attachments available will give you so many options for your kitchen down the road. 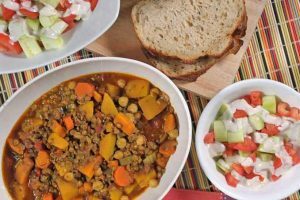 I know that choosing such a huge investment piece for your kitchen can be incredibly intimidating, but I hope this review made your choice just a bit easier! Looking for more choices? 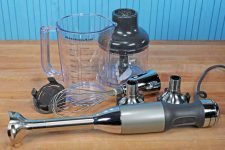 You can check out all of our top rated and reviewed stand mixers right on this page. Oh my word, now that is what you call beautiful When my husband and I got married we threw a wedding shower like most couples. At the wedding shower my great grandma gave me a box and inside that box was this hideous stand up mixer. So I smiled and said thank you. Well that holiday season as we were working on a batch of cookies, my hand held mixer burnt up. So I went to my closed and pulled out that ugly mixer my grandma gave me. 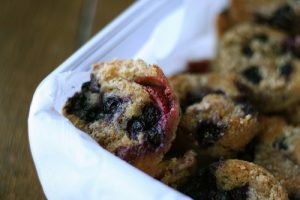 Needless to say I love my old, ugly stand up KitchenAid mixer, I wouldn’t trade it for anything, until now after reading your post! I love my Kitchen-Aid stand mixer. I opted for the Professional series because I was doing some serious baking for a while (ran a cake baking business) and now I bake bread. Using this mixer for the kneading portion of the bread, with the dough hook attachment makes SUCH a difference in the work involved. Now, I still do a hand knead (because I am a bit of a purist when it comes to that) but the Kitchen-Aid mixer makes the whole process more efficient. Lastly, I have to admit, the LOOK of this beautiful baby on my kitchen counter fills me with pride! I clean mine regularly (I bought white) and love how classy it looks.